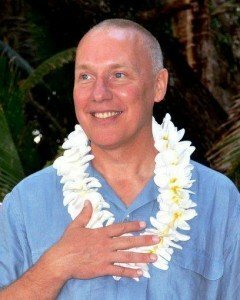 David Hoffmeister began his journey to spiritual Enlightenment in 1986 when he encountered A Course in Miracles and recognized it as the tool he had been seeking for a radical transformation of his mind and perceptions. In the early years, David studied the Course with passionate intensity, often reading it for eight or more hours a day. After two years of this study, David began to seek the company of other students of ACIM, attending as many as five groups a week. He was startled to find that a Voice was speaking through him with great authority, so that many began referring their questions to him. Among family members, friends and teachers, David was always known for questioning everything, rather than accepting conventional answers. Thus he was delighted to find in the Course support and encouragement from the voice of Jesus for his careful examination of every idea, belief, concept, and assumption in his mind. Jesus became David’s internal teacher, answering his every question, guiding him to hand over the day-to-day management of all relationships, circumstances, and events in his life, and providing inner discernment. David learned through countless miracles that he could perfectly trust the Holy Spirit to provide for him and guide him through every situation. Everything he seemed to need to accomplish his purpose as a teacher of God was given without his making any effort. Several hermitage experiences helped David to free his mind from ego chatter and enter into deep silence, where he ultimately experienced Enlightenment. David was guided to a small house in 1996. It became a place of quiet and meditation between travels, but also a place where he could welcome those desiring to step back from the world and to go deeply within the mind to discover the Christ within. David’s time at the Peace House opened a new phase of his ministry as the Holy Spirit guided him to acquire computers and use the internet; the result was the making of a number of websites. One of his main websites, Awakening Mind, offers a huge array of resources related to A Course in Miracles and the metaphysics of Christ. Spiritual truth-seekers can subscribe to the Circle of Support, which offers many ways to stay connected to David and the Awakening Mind community: volunteer work, local events and groups, a prayer and support line, and other opportunities to collaborate and serve this divine purpose. Always a lover of music, and seeing it as a path to God in its own right, David has set up a “musicians pavilion” highlighting a variety of artists who share spiritual ideas through music. Also available on the Resources page are teaching videos and audios of David from gatherings and teaching sessions around the worls, searchable archives, and writings such as Mind Overhaul, Purpose Is the Only Choice, and The Movie Watcher’s Guide To Enlightenment—David sees movies as another helpful and fun path to God! While the online ministry was unfolding, a friend was inspired to establish a non-profit organization, the Foundation for the Awakening Mind, which now serves as a framework for coordinating all aspects of the ministry and for handling larger donations. All donations help David to continue to share the experience of Christ’s divine love of perfect oneness. David Hoffmeister has traveled extensively since 1996 sharing the experience of God’s unconditional Love that is reached through forgiveness. Some people have expressed getting tired at just seeing his travel schedule! However, David experiences so much energy and inspiration pouring through him that he does not experience fatigue. He travels the world shining the light of God’s Love wherever there is a strong Invitation. All gatherings are offered freely, and donations and love offerings make the travels and free online resources available to tens of thousands of people. David currently offers his teachings as both audio and video recordings on a number of sites. Two of these, acim.me and acim-online-video.net, are large, searchable collections of audios and videos organized according to topic of interest or theme. David and the Messengers of Peace currently reside in Kamas at the Living Miracles Center, as well as at the Living Miracles Monastery near Duchesne, Utah for much of the year. Check out Touched by the Spirit for a few beautiful sharings from friends around the world and their encounters with David. 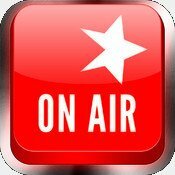 Click the On Air image to hear audios from recent gatherings around the world.